In anticipation of his upcoming release “Loso’s Way 2”, rapper Fabolous released, The Soul Tape with production from such hitmakers as Mike Dean, Streetrunner and The Justice League. The mixtape features a solid effort of samples and original beats ranging from Kanye’s Devil in a New Dress to J.Cole’s In The Morning. The Soul Tape is definitely a concept record and is the second attempt by the rapper to do so. The Soul Tape lives up to its name by attempting to put the soul back in hiphop. It starts with the Pain, sampled from the Tupac track of the same name, it is decent enough in terms of delivery but pales in comparison with the original and doesn’t represent the overall quality of the mixtape as a whole. The album refrains from being too aggressive and offers laid back tracks, a majority of which are aimed at the ladies. With smooth and sultry beats on the piano driven Leaving You (shade to the baby mama?...perhaps..?) , the concept of soul is very well executed in terms of production. While this mixtape is a must have on any hip-hop-head’s iPod, it doesn’t overwhelm. Fabolous is constantly described as underrated but fails to impress fans enough to give him that championship belt. While it is not the best mixtape of the year, it is still a banger. Standout tracks include the You Be Killin ‘Em follow- up featuring Ne-Yo, produced by Ryan Leslie and the Lil Wayne sampled That’s Not Love. Fabolous is at his best delivering witty punch lines in tracks like Really Tho, which displays his talent as a lyricist as well on as Drugs. The whole mixtape is a prime example of Fabolous’s gold standard of hip hop, which is to be expected but doesn’t get any more exciting than that. I enjoyed this mixtape but I wasn’t impressed by it. Fabolous has enough talent lyrically to be a superstar hiphop artist but doesn’t push himself to create anything we don’t know he’s capable of creating. I want to hear something from Loso that I haven’t heard before. When was his last worldwide hit? Maybe we’ll hear something on his upcoming album that will finally elevate Fab’s status to a place he deserves to be. 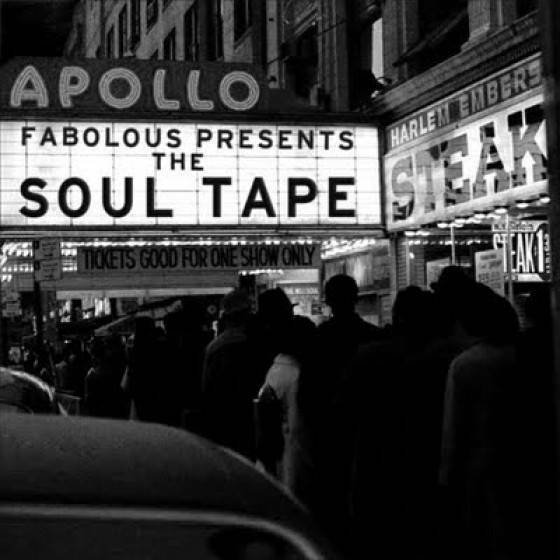 Other guests on The Soul Tape: Red Café, Paul Cain, Lloyd Banks, Vado, Freck Billionaire and Trey Songz.